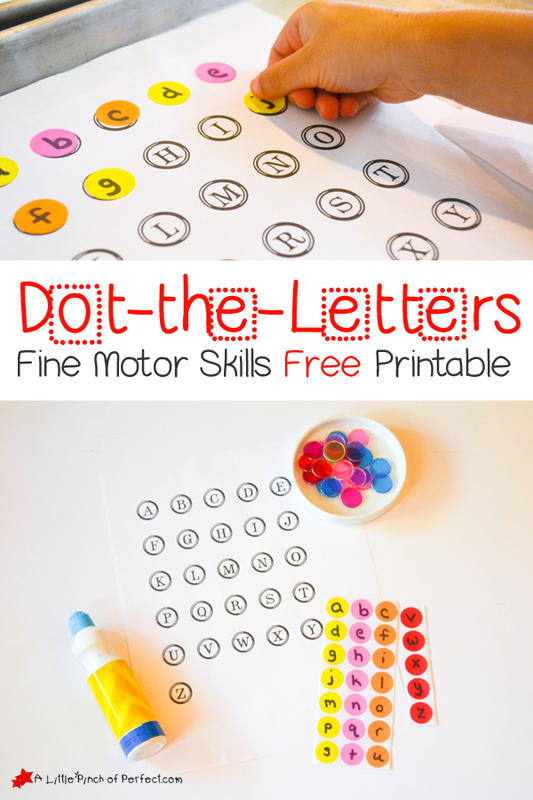 I am constantly trying to create activities that both of my kids can do side-by-side which is why our Dot-the-Letters: Free Alphabet Printable is adaptable for different skill levels while targeting letter learning and Fine Motor Skills. 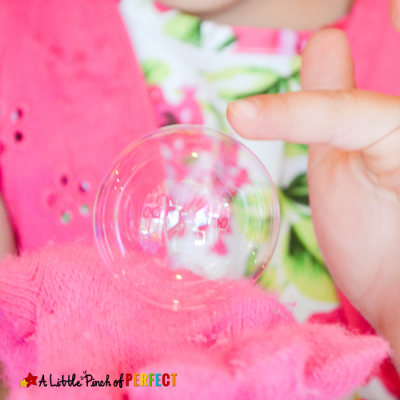 My toddler and preschooler (Little Tiger, age 4 and Little Dragon, age 2) both benefited from this activity and had tons of fun doing it. 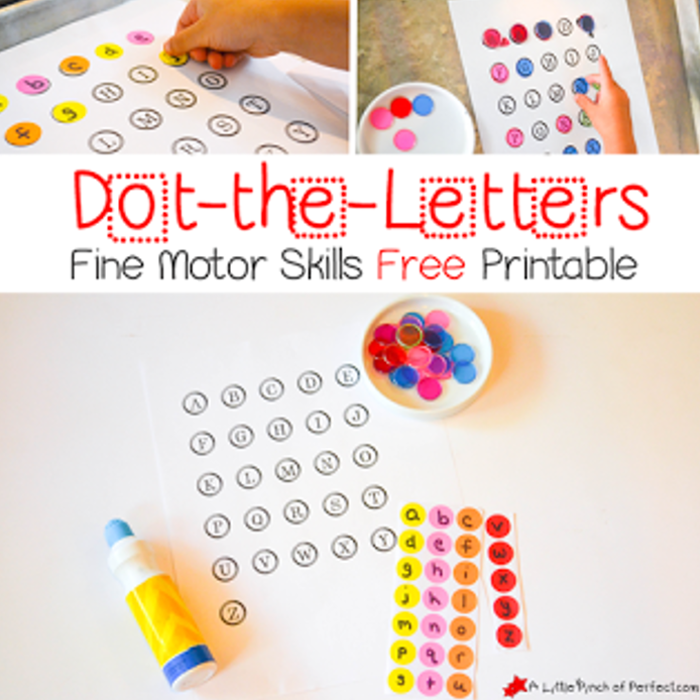 We have used stickers, do-a-dot markers, glass gems, and other hands on manipulatives with the letter Printable to keep it fun each time we use it. 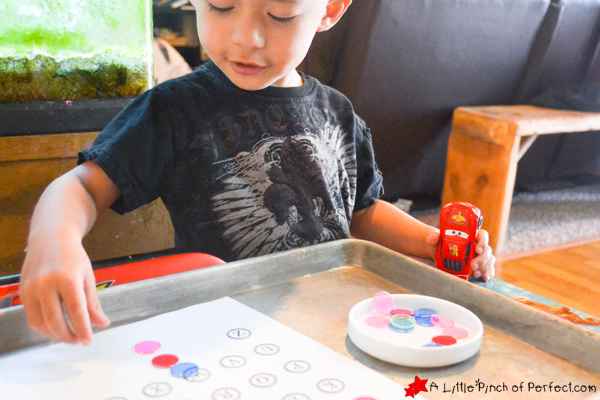 Little Dragon chose to use our Transparent Color Counters (Affiliate link) to place over each letter. I let him chose which letter to cover, and we named the letter together. 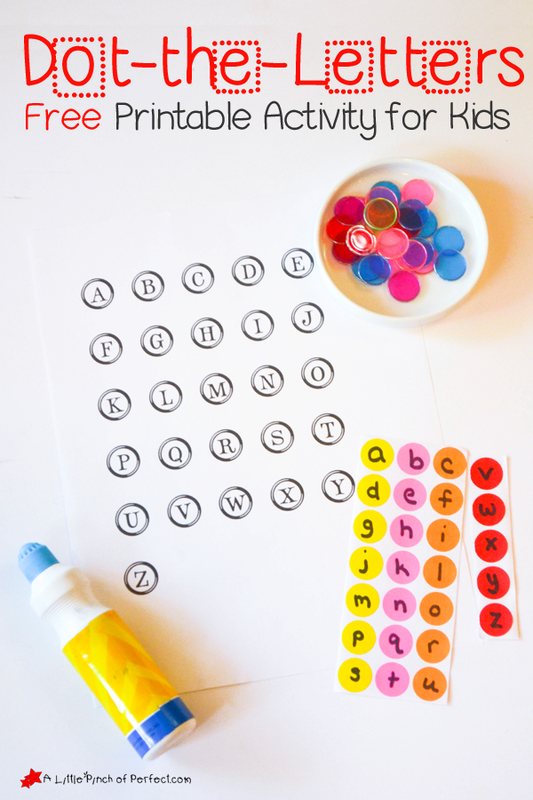 You could also name the letter and have child find and mark it. 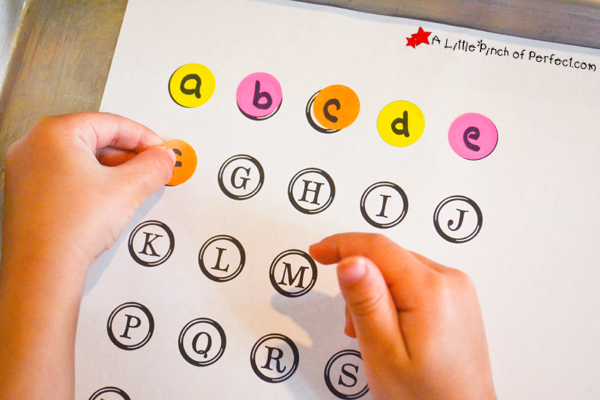 I wrote the letters on Circle Stickers (Affiliate Link) and gave them to Little Tiger to match and stick them on the uppercase letters on the printable. 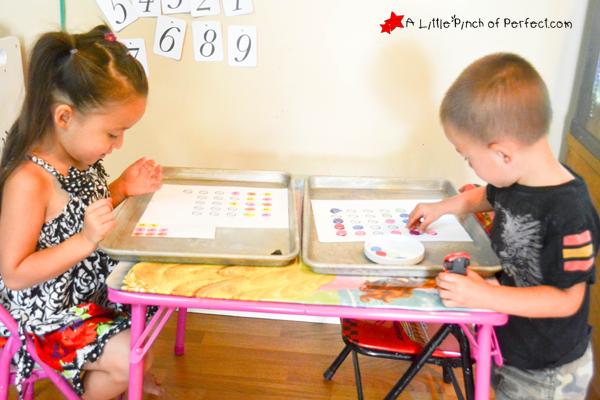 I wrote the letters on the stickers in alphabet order because this was the first time she was doing the activity and I didn’t want to frustrate her. She put the stickers on one at a time and didn’t always go in order (which is totally fine). 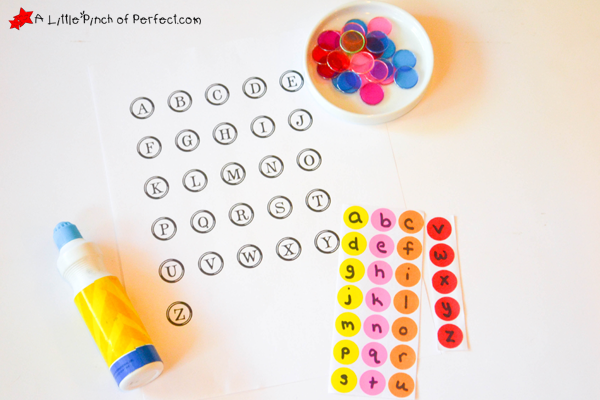 To make the activity a little more challenging you can write the letters in random order on your stickers. 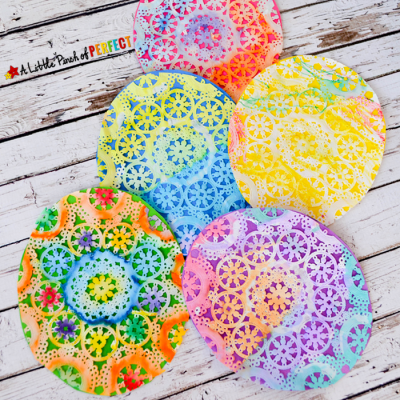 If looking at the whole page is too frustrating or overwhelming, fold the paper and work on one row at a time. Thanks for learning with us today! Please click here to sign up for our weekly newsletter and receive exclusive subscriber freebies. 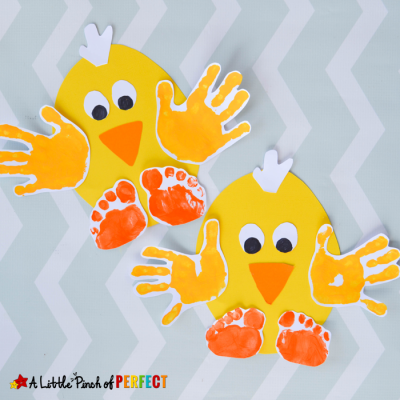 Join us by following on Facebook, Pinterest, Twitter. I printed a few pages out to use this week! 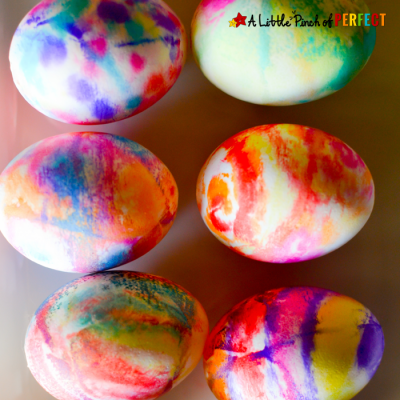 A fun yet meaningful activity to use with my multi-age group. I would also like to have a lower-case letter printout. Thanks for sharing.